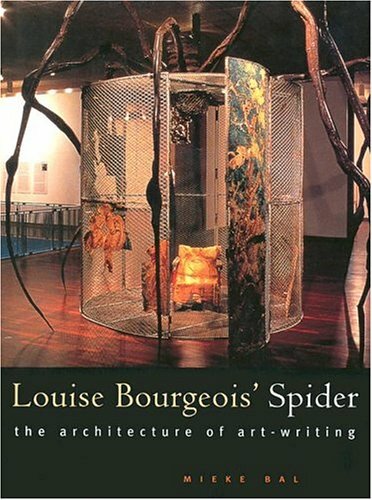 The sculptor Louise Bourgeois is best known for her monumental abstract sculptures, one of the most striking of which is the installation Spider (1997). Too vast in scale to be viewed all at once, this elusive structure resists simple narration. It fits no genre and all of them - architecture, sculpture, installation. Its contents and associations evoke social issues without being reducible to any one of them. Here, literary critic and theorist Mieke Bal presents the work as a theoretical object, one that can teach us how to think, speak, and write about art. Known for her commentary on the issue of temporality in art, Bal argues that art must be understood in relation to the present time of viewing as opposed to the less-immediate contexts of what has preceded the viewing, such as the historical past of influences and art movements, biography, and interpretation. In ten short chapters, or ‘takes,’ Bal demonstrates that the closer the engagement with the work of art, the more adequate the result of the analysis. She also confronts issues of biography and autobiography - key themes in Bourgeois’ work - and evaluates the consequences of ‘ahistorical’ experiences for art criticism, drawing on diverse sources such as Bernini, Benjamin, and Eisenstein. This short, beautiful book offers both a theoretical model for analyzing art ‘out of context’ and a meditation on a key work by one of the most engaging artists of our era.